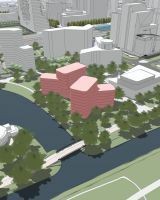 The Eastern Development Field in Kenniskwartier is bordered by the Mahlerlaan, the A10 ring road, the ‘Diagonal’ (pedestrian area) and the Western Development Field.The total development concerns 80,000 m2 (GFA) of a mixed programme of residential (middle segment, young professionals, students, social housing), offices and other facilities. 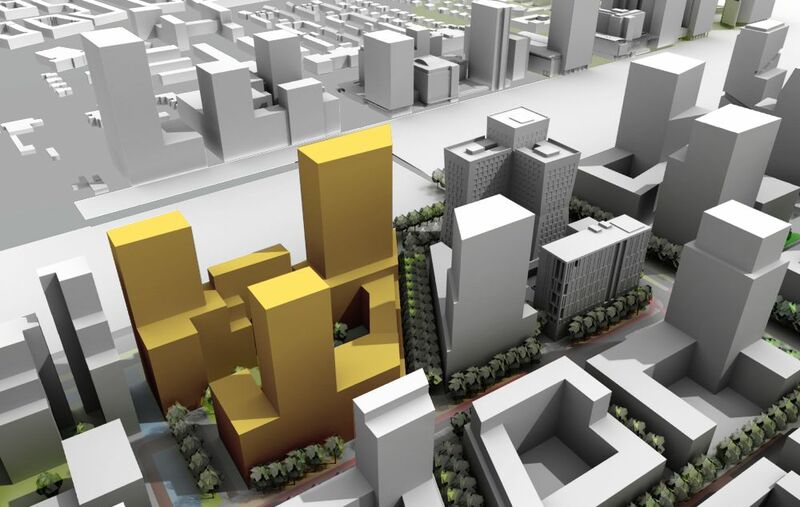 Coming from the A10, Kenniskwartier (Knowledge Quarter) forms the western gateway to Zuidas. 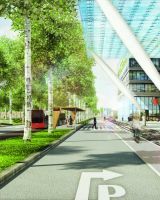 Zuidas wants to turn the ‘Knowledge Quarter’ into a metropolitan area, with the university being part of an urban neighbourhood, featuring international businesses and homes for young professionals and students. As regards business, the Knowledge Quarter is already home to the most sustainable office in the Netherlands, namely The Edge; (BREEAM Outstanding), soon to be joined by the offices of NoMa House (multi-tenant) and Hourglass (Loyens and Loeff). 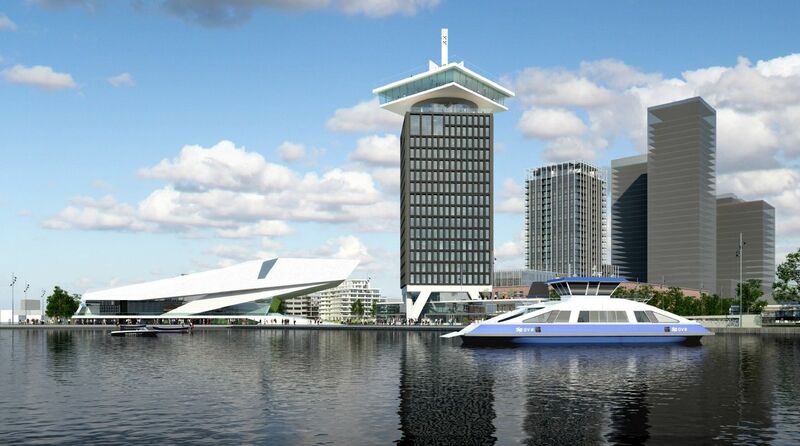 The unique combination of users, supplemented by urban facilities such as hotel apartments for the business market (in Hourglass), a new elementary school (south of Mahlerlaan), pocket parks and active plinths, is ultimately intended to create a lively and attractive climate. 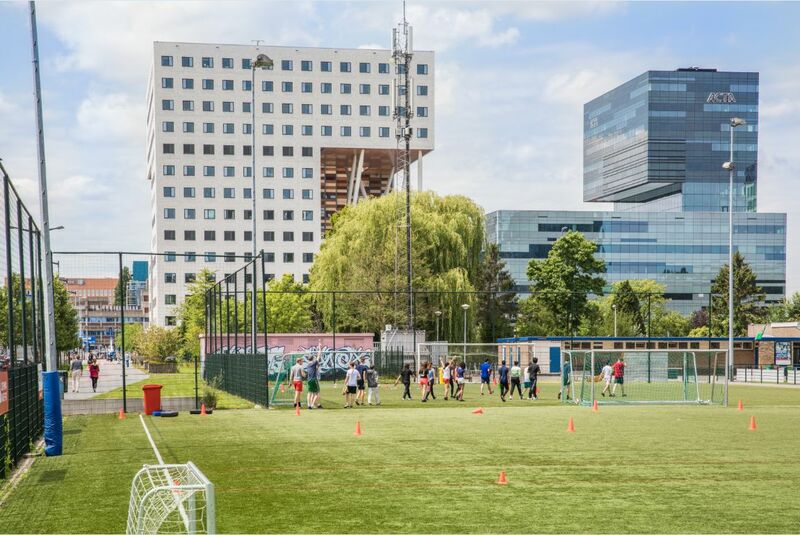 The development of the area will be completed by the relocation of the current football fields of SC Buitenveldert to the south of the VU in 2023. The development strategy is now focusing on two plots in the northern part of the Knowledge Quarter, namely the East and West Development Fields, which jointly cover an area of 125,000 m2 (GFA). This plot covering about 1 ha is to be offered to the market first. The total development concerns 80,000 m2 (GFA) of a mixed programme. Social housing is part of the development. The Eastern Development Field is not developed as a whole, but is being marketed in parts, starting with the northern part along the A10. 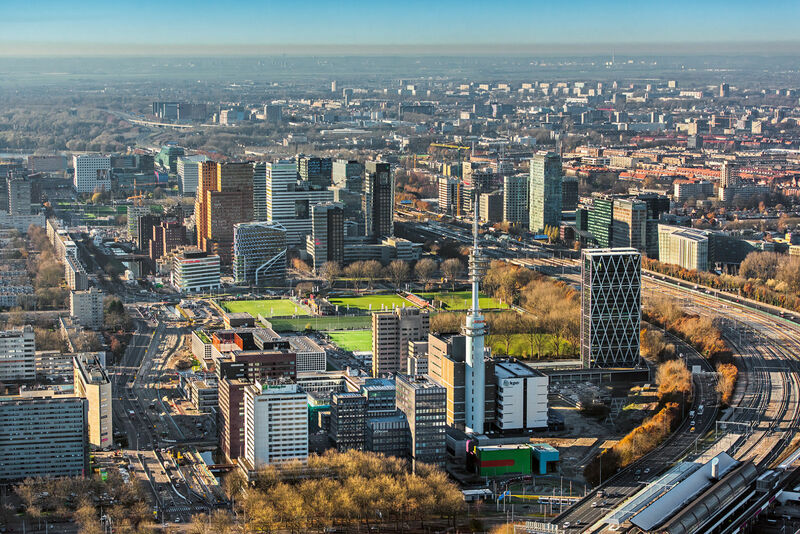 The area is known primarily as the location of the VU University Amsterdam, the VU Medical Centre (VUmc), as well as the ACTA building (dental training), the O2 lab building (Human Health and Life Sciences) and the OZW building (various education and care-related courses). Hence the name: Kenniskwartier . 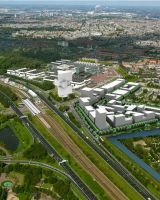 In the near future, these buildings will be joined by the Imaging Centre (a diagnostic centre of the VUmc) and a new building for the CCA (Cancer Centre Amsterdam).